In the 28th episode of “Super Junior Returns,” a reality show exclusively featuring Super Junior, Shin-dong and Ryeo-wook went on an eating spree in Nagoya, Japan. Known as the “foodies” of the group, the Super Junior duo knew the best places to hit in town. The segment posted on the show’s V Live channel SJ Returns Wednesday showed Shin-dong and Ryeo-wook enjoying desserts at a local cafe. The two ordered iced coffee with cream, cafe au lait, and the cafe’s signature toasts and sandwiches. 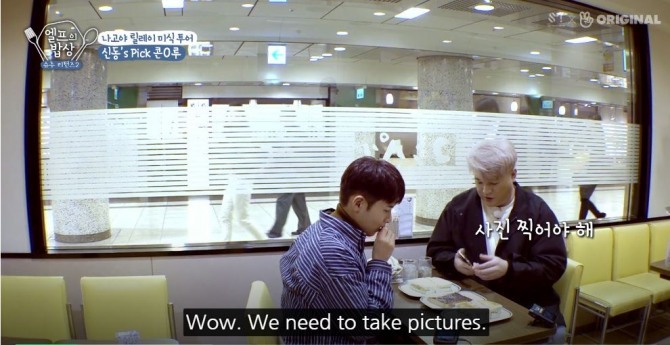 “You need to get a good shot of the food,” Shin-dong said, working the camera to find the best angle and lighting. “This is a good angle,” Shin-dong said, taking photos and videos of Ryeo-wook as he enjoyed his cup of coffee. “Oh my god, this is so good,” Ryeo-wook said, as he drank the iced coffee. “You should drink your coffee hot,” Shin-dong said, sipping his cup of cafe au lait. The sandwich they ordered had an unusual filling: deep-fried shrimps. “Perfect,” said Shin-dong, as he took a bite off. 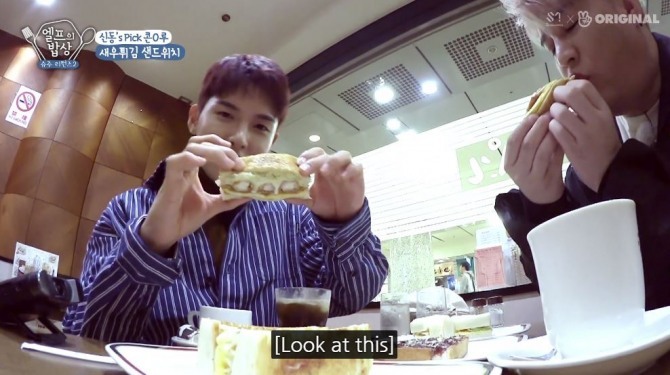 Watch Ryeo-wook and Shin-dong enjoy Nagoya’s delicacies at https://www.vlive.tv/video/102231.